We've gone on and on about how much we love the Anya Hindmarch AW14 collection, which was presented in London nearly two weeks ago. And just when you think you have to wait to see the collection out and about, being used by the general public, we have a sneak peek at the items in action thanks to Red Magazine. 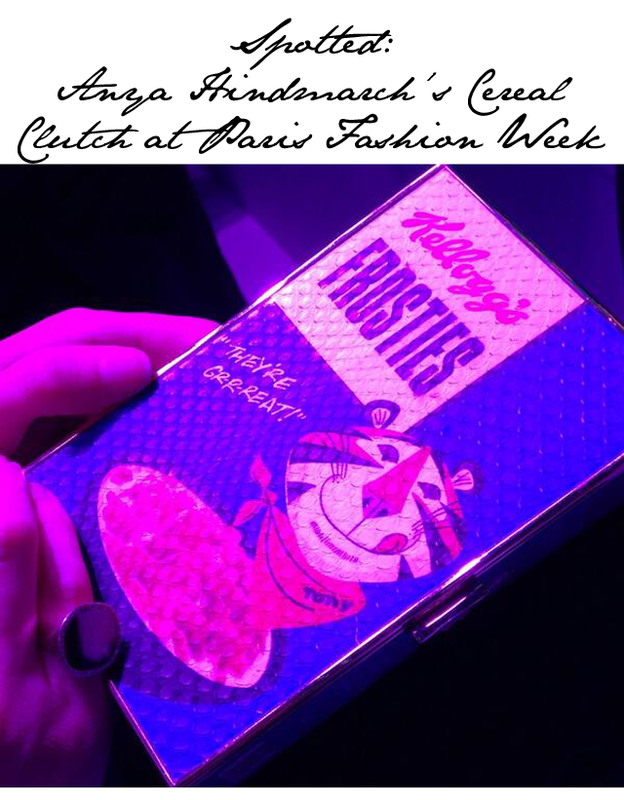 The magazine spotted editor Caroline Issa out with her Tony the Tiger Anya Hindmarch clutch during Paris Fashion Week. Some people get all the goodies. We're green with envy. Frankly speaking, these pieces can't come into store fast enough.